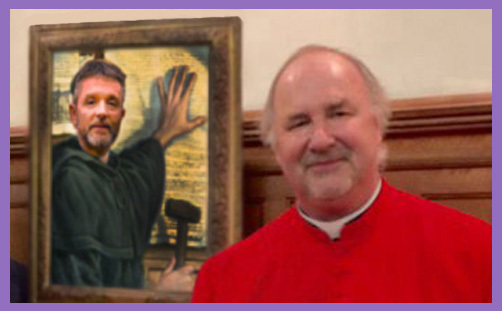 In the great amphitheatre of Twitter a gladiatorial combat recently took place between the Blessed Archbishop Cranmer and the eminent Dean of Christ Church, The Very Rev’d Professor Martyn Percy. More polite than the scratchy enmity that marked the struggle between Newman and Kingsley, and certainly much more condensed and immediate given the restrictions and opportunities of Twitter, it was no less important. In salvos restricted to the 140 character maximum limit, two powerful and wholly antipathetic cultures clashed head on in the public space. Under the disguise of their jousting favourites – the ultra-eminent virtual Churchman and the uber-distinguished Oxford Dean – relativism and absolutism clashed. I don’t want to lumber the blessed Cranmer with the public accusation of being a moral absolutist, or the elegant Professor Percy with being a practising relativist, but simply say that, for a moment, each represented the angle of approach of these two monolithic philosophies and worldviews. As a subtext, this is also an argument about who controls language and what language does. The piece of language they fought over was the charged and highly problematic word ‘discrimination’. To give us a context, we might look to Ludwig Wittgenstein, who was famous for several things. I like him for three in particular: two of them are remarks. He once said: “If people never did anything stupid, nothing intelligent would ever get done,” which I find a personal course of perpetual encouragement; and also: “I don’t know why we are here, but I’m pretty sure that it is not in order to enjoy ourselves.” The third thing, which is more important for this argument, is his shift between two philosophies of language. Early Wittgenstein saw language as a mechanism for describing the facts that the world comprised of. It was the job of language to reflect those facts. Late Wittgenstein turned the first position upside down and decided that what language meant was how it was used in practice (a shift from what became the schools of logical positivism to behaviourism). Personally, for preference, I prefer early to late Wittgenstein, as does anyone whose first reaction when faced with a fight over a word reaches for a dictionary and for the comfort and clarity of etymology. The other approach is to submit to the force majeure of a changing cultural usage. I fought a hopeless and very short battle over the word ‘gay’ before the culture wars were lost. I went down in flames over the Americanisation of the response to ‘How are you?’ becoming “I’m good” instead of “I’m well”. (If you use such a highly-charged word as ‘good’ to describe your self-referential levels of passing pleasure in the moment, what hope is there to recover it as a word that describes moral absolutes?). C.S. Lewis and William Blake represent this clash of cultures. In his ‘Marriage of Heaven and Hell’, Blake offered a kind of pre-Jungian attitude to morality. Mix a bit of good and bit of bad together, and in some mysterious dialectical way you get moral, existential or spiritual progress. Reason and Energy, Love and Hate are necessary to Human existence. From these contraries spring what the religious call Good and Evil. Blake’s meaning can be approached in a number of subtle ways, but C.S. Lewis thought it was sufficiently sub-Christian to write a book showing how morally misleading Blake was. The Great Divorce (nothing to do with matrimony, but everything to do with the relationship between heaven and hell) was written to remind Christians that the Gospels and Jesus in particular brought a clarity that flowed from and reinforced the moral absolutism of the Jewish prophetic voice. It is from Jesus in particular that we are warned that this universe discriminates between Good and Evil, containing heaven and hell and bestowing the terrifying dignity of choice on human beings, mitigated by a marvellous mercy. As arguments go, this is sub-standard. Cranmer is using the word ‘discrimination’ in the sense it has always been used. Percy is using it in the way it has been taken over by the cultural campaign for relativism and equality. Which is why, of course, Professor Percy can’t and won’t answer Cranmer’s perfectly proper observation that firefighters discriminate against the physically weak who apply to be firefighters, and Oxford University discriminates against those who don’t belong to the intellectual elite. Cranmer has followed the usage of ‘discriminate’ as it has been accepted until very recently. Criminare means to accuse. Distinguishing between those things and people which are accused and those which should not be accused, we have attached the prefix ‘dis’ which bears the sense of turning the meaning into the opposite. So to dis-criminate means to distinguish between the guilty and the innocent; between the useful and the useless; between good and evil. But Professor Percy is following the more recent usage. If you belong to the moral and cultural world which he inhabits, you are no less moral than anyone else, simply defining morality in a different way. The great sin (though egalitarians don’t like the word as it reminds them of moral absolutes) is so-called inequality. But while Cranmer is following 2,000 years of Christian tradition and Christian philosophy, Professor Percy has hitched his wagon to a more recent cultural movement. The Gospels know almost nothing of equality. It’s not even really possible to say that God loves people equally, since covenantal theology and the celebration of the particular is highly anti-egalitarian. But Percy’s relativism is not only more attached to Marx in its origins than it is to Christ, it has a critical intellectual flaw which ought to de-legitimise it in the eyes of the clear-thinking. For example, the recent Bishop Philip North episode ought to make us suspicious. The theology of inclusion and equality didn’t apply to +Philip, whose great mistake was to believe what all Christians in all places at all times (until Karl Marx) have believed – about the orders of the Church. The three-card trick that Professor Percy and his cultural fellow-travellers play is to refuse to exclude anyone except those who don’t agree with them. You only get to be included in the equality stakes once you have accepted their moral and political presuppositions. So, of course, they do actually discriminate between anyone who shares their basic world view and those who don’t. They pretend they are relativists by claiming that all views are equally legitimate, but become absolutists if you challenge their relativism. In other words, their ideas of equality and relativism are actually practised by placing their value above those who disagree with them, and discriminating against anyone who has the audacity and moral turpitude to dissent. Meanwhile, they claim the higher moral ground by pretending to be something that they are not – outlawing discrimination while practising it. This is, of course, hypocrisy – that is, saying one thing while doing another. What happens when the hypocrisy is challenged, as with the attempt to include a bishop who embodies an older more traditional view in an inclusive non-discriminatory Church? What happens when Cranmer claims that discrimination is a perfectly sensible exercise and is even practised by those who pretend they don’t? The answer in both cases is that their voices are shut down, and in Bishop Philip’s case that he is shut out. Shut down and shut out in the name of inclusion and non-discrimination? It is, in fact, contradictory, bullying and discriminatory; all of which is much less moral than the ‘equality-loving, diversity-declaiming, inclusivity-practising’ sloganising would leave you to believe. But if ‘equal’ means some values are more equal than others, and ‘inclusive’ means your sort of ideas are not welcome here, and ‘diversity’ means we all share the same values, relativism also masquerades as the opposite of what it presents in public. What so-called relativism has done is to smuggle in a different kind of moral absolutism. Instead of the absolutism of the Bible and orthodox Christianity, it is the absolutism of a movement that has chosen to preference a programme for what it calls social justice. Its moral framework is no longer the Ten Commandments and the metaphysics of the Kingdom of heaven, it is the equalisation of power relations and the politics of what amounts to the socialist republic wrapped in a morphed sub-Christian spirituality. In my judgement, one way is self-evidently more Christian than the other. But without a serious struggle over how language is used and what it ought to mean, the egalitarian politicos will continue to bamboozle the faithful into thinking they are doing Christianity, when they are instead imposing a spiritualised socialism. What do we make of Prof Percy’s distinguishing between discrimination and discernment? If we ask the question etymologically, then he is simply mistaken. Cernere is to separate, and dis-cernere is to separate into categories or distinguish. So to distinguish, discern and discriminate all describe essentially the same exercise. Somehow in public usage ‘discriminate’ got picked on to carry a negative and prejudiced overtone. Trying to hide the fact that Oxford University discriminates (bad word) between clever and less clever students both when they apply and when their work is judged (bad word) or assessed (good word) or marked (neutral word) (but all meaning the same in practice), he is faking a moral distinction by slipping in a different term. By this means he preserves a pejorative innuendo for the word he has chosen to use as a political weapon (discrimination), and continues to practise separating intellectual sheep from intellectual goats, as a university always has done. There is an irony in his taking refuge in ‘discernment’ to avoid discrimination. In the long experience of Christianity, the growth in wisdom and maturity has always gone hand-in-hand with a more profound experience of the absolutes of good and evil, and a wiser and more subtle ability to tell them apart. Jesus warns on many occasions that evil will present as good, and his followers need to be able to discriminate, distinguish and discern the difference. St Paul, that ever-astonishing interpreter of pragmatic Christian mysticism, writing to the Corinthians reminds them that telling the difference between the presenting spirits of good and evil will require a special metaphysical gift – ‘discernment’: ‘To another (will be given) the working of miracles, to another prophecy, to another the discernment of spirits..’ (1Cor 12:10). The writer of the letter to the Hebrews also links discernment to the metaphysical dimension: ‘But solid food is for the mature, for those who have their powers of discernment trained by constant practice to distinguish good from evil’ (Heb 5:14). There is an element of pathos in the attempt to reach out to use a word that has a profound connection with the metaphysical – ‘discernment’ – in order to disguise the pragmatic process of discriminating between the intellectually gifted from the less mentally astute, and the industrious from the lackadaisical, which is a core activity in a university and a piece of professional discrimination by which Professor Percy earns his living. But this politicising of the metaphysical is exactly the route that the relativists have chosen to take, so perhaps it is only appropriate that they reach out for highly-charged metaphysical words in order to harness them to a political project. The argument over ‘discrimination’ offers us an opportunity to help us discern a more authentic Christianity from a culturally modified ‘look-alike’. Behind the sophisticated massaging of words which artificially impute moral vice or virtue to competing views, does an ‘inclusive’ version of the faith ‘discriminate’ against beliefs and practices that have been true in all places at all times in the supposed name of non-discrimination? If it does, then you may sense an inner contradiction which could alert you to distinguish, discern or even discriminate between a more authentic interpretation of the faith, and a culturally modified look-alike that wears the right clothes but lacks both coherence and the inner authenticity. Caveat Emptor.